I met Carlos Urban on bus 60 on my way to South Park. 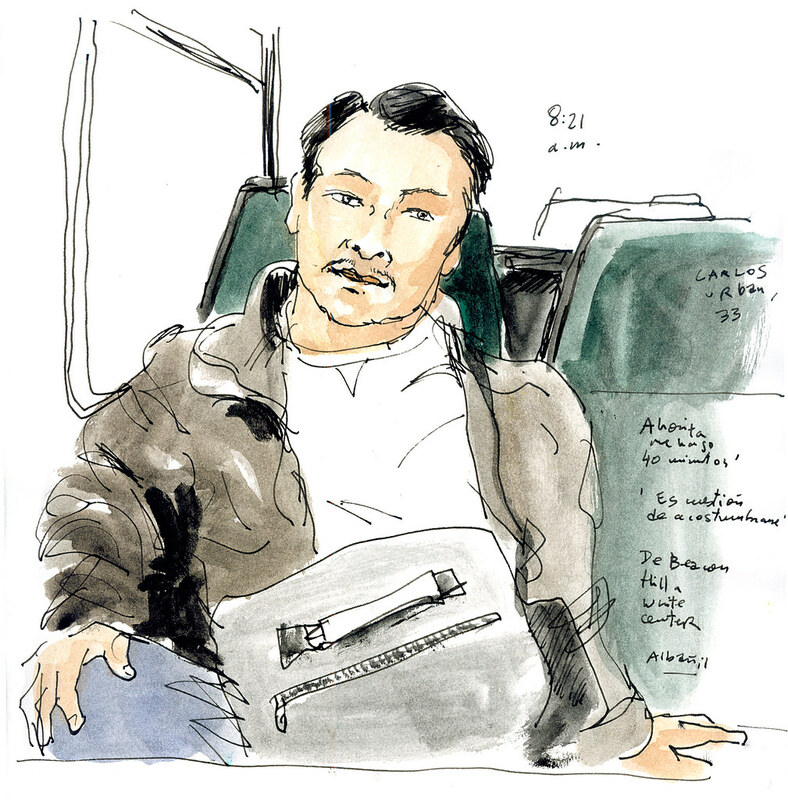 Carlos was commuting to work from Beacon Hill to White Center. This bus, which starts its route on Capitol Hill, will be redirected through the First Avenue Bridge starting Wednesday at 5:00 a.m., a few hours before the South Park bridge will be permanently closed at 7.00 p.m. The reroute is likely to add 20 minutes each way to Urban’s daily commute, depending on traffic. Buses 131 and 134 will also be rerouted through the First Avenue Bridge. “I’ll have to get up earlier in the morning,” said Urban in Spanish with a shrug. “It’ll be a matter of getting used to it.” He was aware of the bridge’s poor condition but didn’t know about the closure. 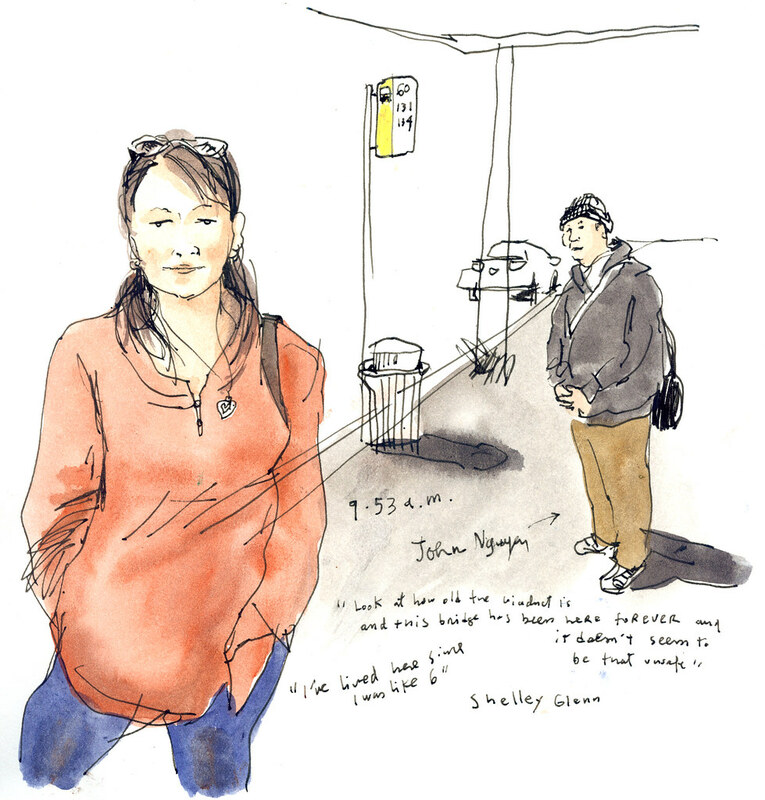 Soon after I started sketching John Nguyen while he waited to get on the 60 at 14th Avenue South, Shelley Glenn took interest in my sketch and shared her anger about the bridge closing. “Look at how old the viaduct is and this bridge has been here forever and it doesn’t seem to be that unsafe,” she said. 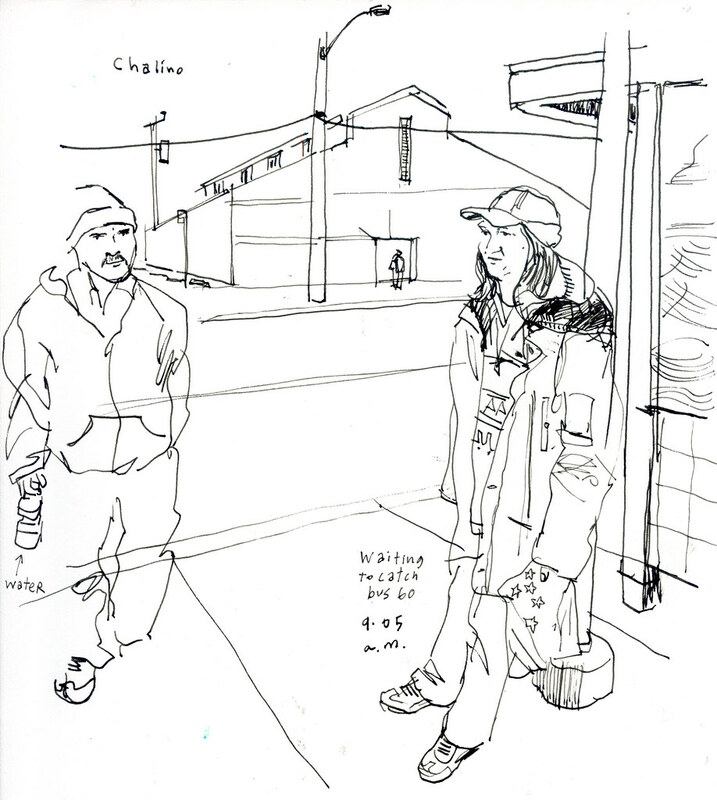 Before Nguyen’s bus arrived, he was nice to hand write his name on my sketch, since I didn’t know how to spell it. He said he was going to Seattle to see his family. –South Park neighborhood prepares to lose its bridge.